This post is regarding a error that we get because of trigger. "execution of AfterUpdate caused by: System.FinalException: Record is read-only"
This kind of error occurs if you try to update lists/record which are/is read only in the trigger execution. For example, trigger.new and trigger.old are both read only lists and cannot be applied with a DML operation. Say if you write Update trigger.new; in your trigger you will get the above mentioned error. A field value of object can be changed using trigger.new but only in case of before triggers. But in case of after triggers changing the values of the records in trigger.new context will throw exception as "Record is read only"
Above code will update the names of the records present in trigger.new list. But, the below code will throw run time exception "Record is read only". Also trigger.old will always be read only no matter where you use it either before trigger or after trigger. 3. In all cases other than mentioned in point 2; fields values cannot be changed in trigger.new and would cause run time exception "record is read only"
Very nice site about trigger in SFDC like when it use before or after like that. 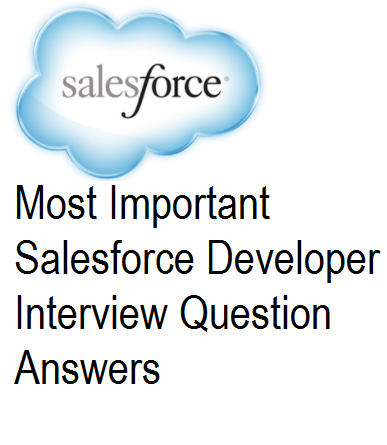 It is very useful for the SFDC developers. I have a doubt here. Can you please clarify. -- when this code executed, getting error System.NullPointerException: Attempt to de-reference a null object. It means that there were no records at trigger.old. So how can we say trigger.old is read-only at before triggers?